This Tudor inspired mantel features oversized legs to create an impressive essence of bold extravagance, giving a unique sense of depth to this timeless design, which exudes a strong yet elegant presence. 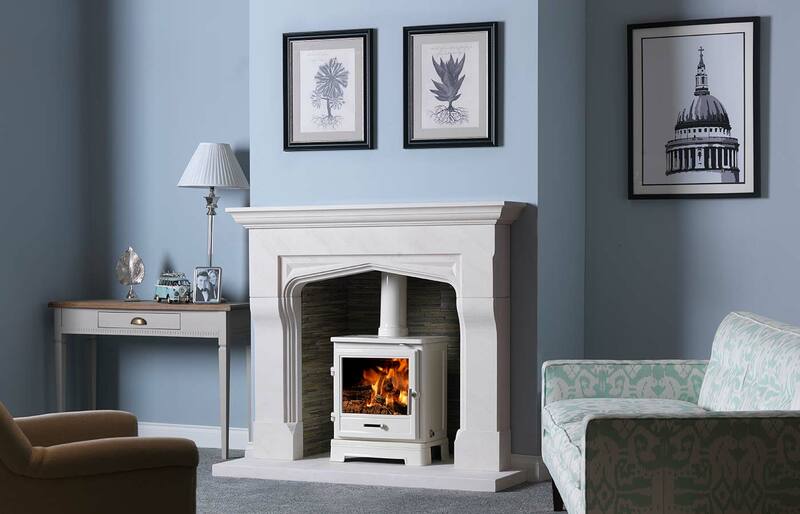 Pictured with Bassington stove in white enamel finish & standard leg option. Featuring the olive waterfall chamber and Iberian limestone hearth & back hearth.